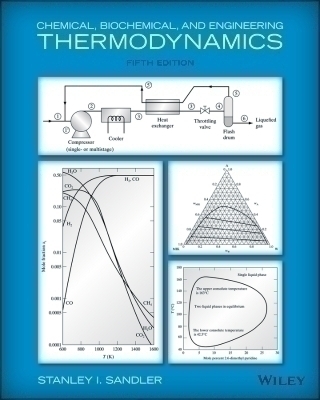 In this newly revised 5th Edition of Chemical and Engineering Thermodynamics, Sandler presents a modern, applied approach to chemical thermodynamics and provides sufficient detail to develop a solid understanding of the key principles in the field. The text confronts current information on environmental and safety issues and how chemical engineering principles apply in biochemical engineering, bio-technology, polymers, and solid-state-processing. This book is appropriate for the undergraduate and graduate level courses.